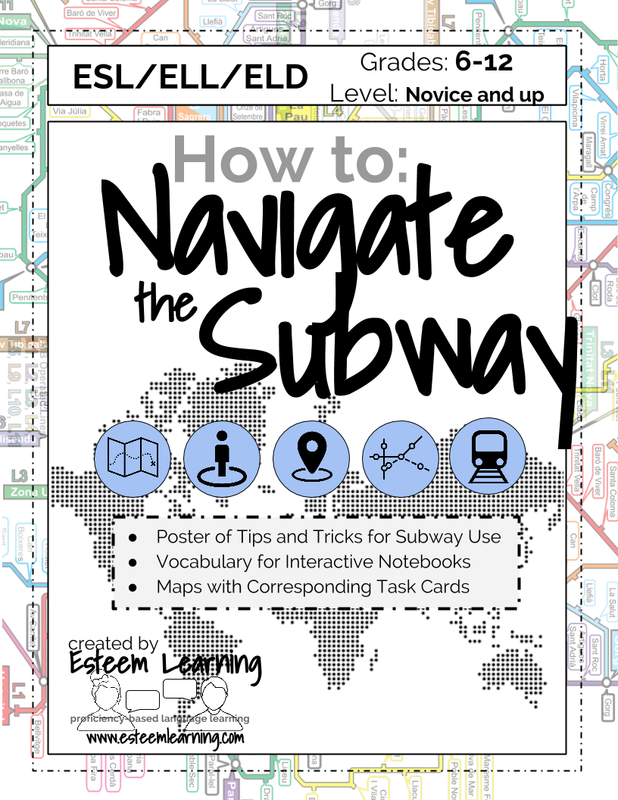 This 5-hour lesson and map activity uses posters, vocabulary for Interactive Notebooks, and maps with task cards to teach students how to use the Metro / Subway. BUY IT HERE in French! BUY IT HERE in Spanish! BUY IT HERE for ESL/ELL/ELD Students!